Riesling color goes from greenish to pale yellow. Its aroma is fruity with scent of peach, apricots, delicately floral and slightly ethereal. Brought to South Tyrol in the 19th century by Archduke John of Austria, Riesling wines are some of the most elegant and refined whites. 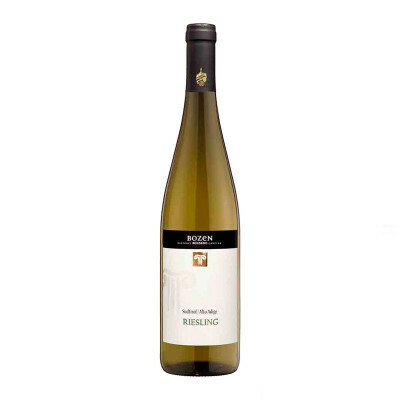 In contrast to its German forebears, Riesling is here thoroughly fermented and usually matured without or with only very little residual sugar. Riesling 100%. IT MAY CONTAIN SULPHITES. Abv 13%. With an elegant, dry, fresh and acidity flavor this wine is perfect with fish and shellfish, poultry, goat's cheese and vegetarian dishes.